Just before Christmas, I found out I was pregnant. I am now 19 weeks Pregnant. I’ve been told my lots of family and friends that I need to now start taking extra vitamins to help make sure both baby and I are getting the supplements and support we need throughout my pregnancy. I was contacted by the hut group and offered to trial out their “Baby on Board” Vitamins seeing as I was expecting my first baby. I understand the importance of taking vitamins to make sure you’re healthy but when your carry another little person you have to make sure both you and baby are getting all the support and supplements possible to keep you fit and healthy. 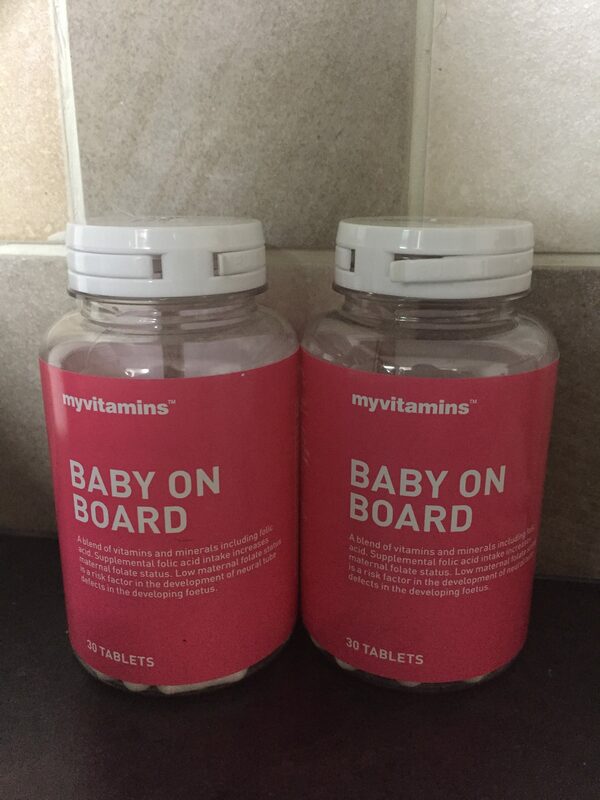 The Baby on Board Vitamins I received contained 30 tablets and are suitable to be taken once a day with food. You can buy them in 1 month or 3 month supply. 1 Month supply is priced at £5.99 and 3 months are priced at £14.99. You can buy this product off the internet using the link above. * I was sent these products free of charge for the purpose of this review, however, all thoughts, photos and opinions are my own. Contains affiliate links.